client’s needs are met globally. Audit & Incident management are Airsweb’s most popular modules, with 90% of the customer base using them. The workflow, which is built on cross-industry best practice is completely out-of-the-box. Last year’s Green Quadrant highlighted that the Airsweb platform offers Enhanced User Engagement and this year Verdantix recognised the continued investment in this area with Airsweb again scoring high for User Experience. This investment has proved vital for clients as the report highlighted that 92% view the quality of the user interface as an important purchasing criterion. Airsweb has developed Innovative Technologies, including pioneering wearable devices acting as ‘safety nudges’ and mobile software solutions that ‘capture and report risk reality’ instantly. 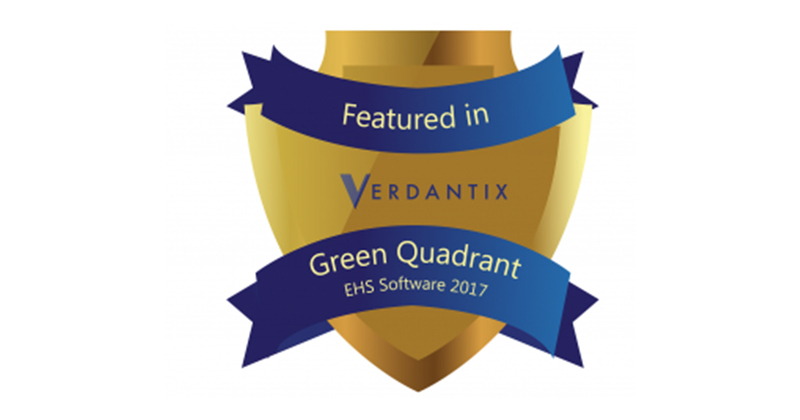 “We are extremely pleased to be recognised again as a leading EHS software vendor in the Verdantix Green Quadrant 2017. It endorses our strategy to continue to invest in new technologies, mobile applications and Business Intelligence tools to enhance the user experience.” Mark Swithenbank, Managing Director, Airsweb Find out more about the "Verdantix Green Quadrant EHS Software 2017" report About Airsweb With a client portfolio of leading global brands, our ‘best of breed’ software provides the ideal framework to deliver an effective Environmental, Health and Safety management system. As a web-based, modular and scalable solution it is used by more than 500,000 users in over 123 countries working in over 35 languages. Airsweb® also has the capacity to grow with your business. includes full support to implementation, consultation to cloud based solutions, e-learning and training.